Losing a loved one affects every aspect of life. 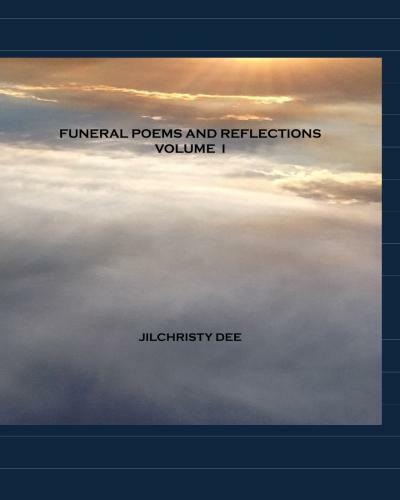 The collection of 85 poems is available for just $9.99 USD. Download your copy in less than a minute for computer/tablet/smart phone by clicking here. Click to download your copy for computer/tablet/smartphone. - Did You Know How Much We Loved You? Click to download your copy for computer/tablet/smart phone. Click to download your copy for computer/ tablet/ smart phone. Website Copyright 2013 Poems And Reflections LLC. Click here to download your copy for computer/tablet/smartphone. "Thank you for writing such a wonderful poem and allowing us to share it with family and friends to help express our grieving hearts over the loss of our beautiful daughter." Brenda N.
"It really helped us to put into words how we felt about them. We could not have said it better." Tracy D.
"I can’t begin to tell you how much this means to me...Not sure how you can write such heartfelt poems you sure have a gift. I feel all these things and can say them but could never write them so beautifully." Eva S.
"It will be lovely to share (poem) at my mum's funeral tomorrow." Dale G.
"When I read (poem) I actually felt...you knew Dad. At this most difficult time in my life you are able to bring peace to me." Mark S.
"(Poem) sums up (loved one's) fight with cancer so well." Hayley A. 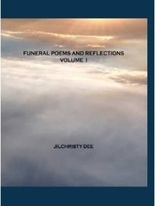 "Thank you for the poems...I am going to read (poem) at the funeral and put (poem) out at the showing. They say everything I want to say." Jamie T.
"A very dear friend of mine's son recently (died by) suicide and as you can imagine, she is having a very hard time. I spent some time with her this weekend and left (poem) in a card for her to read when she was alone. She called me the next day thanking me for the comfort it brought not only her but her daughter as well." Dee M.
"Thank you so much! My family is going to love this." Paula T.
We all sat around and read them and agreed that they are so beautiful, and helped us express our feelings. We agreed that (poem) was perfect for (little boy's name)...it was just what we needed." Kristi P.
"I have been searching for the perfect words, it is such a relief to have found them." Barbara B. "Thank you so much for writing (poem), it describes my friend word-for-word." Mallory F.
"These are wonderful poems. Just what I was looking for." Daniel D.
"Just got it and will use it at a service at noon...I searched extensively (elsewhere) and (poem) is beyond a doubt the best." Rod F.
"Thank you so much for this beautiful poem. My husband's father died a week ago suddenly. He will be reading (poem)at his father's celebration of life next weekend." Andrea M.
"Heartwarming and encouraging - and touching - just written so well and put together perfectly."